I am leaving this post up, even though the restaurant has moved. On the R310 heading towards Stellenbosch you will find Welmoed Wine Cellars. They are home to this lovely restaurant which is set in a beautiful garden with the requisite ducks and pond. There is an inside dining section as well as access to wine tasting. A plus is that wine is available per glass and the wine prices are excellent. The service is average and the menu has not changed much in the recent past, but you will be guaranteed a decent meal with beautiful views. It is child friendly and has a children’s outdoor gym. 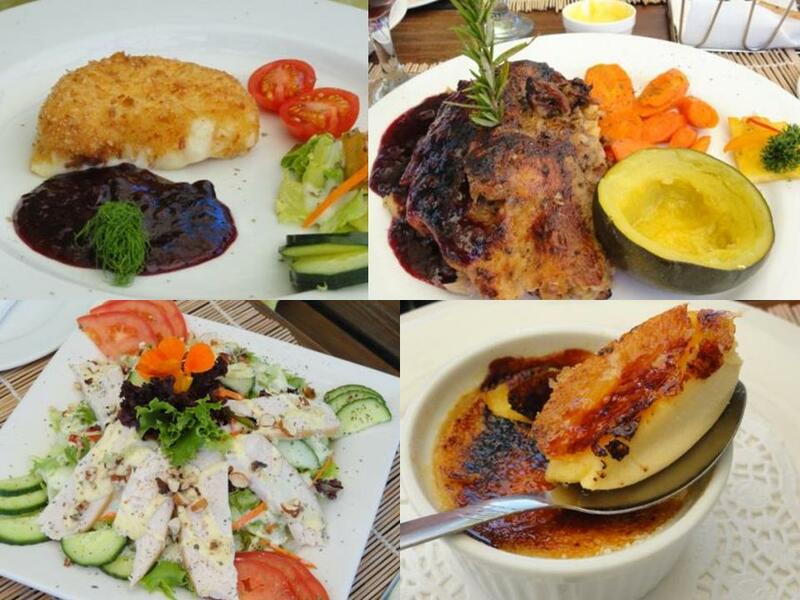 On the menu you will find a choice of 5 starters, 3 salads, children’s meals and a pasta dish. There are 5 main courses as well as specialty dishes. 7 well priced desserts will mean you can indulge at the end of your meal. The venue is perfect for a lunch time wedding, group meals and lazy weekend afternoons. We went with 2 friends and their 2 children for lunch on the day there were fires in Stellenbosch. It was a warm day and we sat outside – played on the grass lawn with the kids, walked on the foot bridge across the pond to the gazebo and had a good meal with great friends. The children were ‘grown ups’ and sat at their own table for most of the lunch. Once again, the staff were accommodating but scarce. 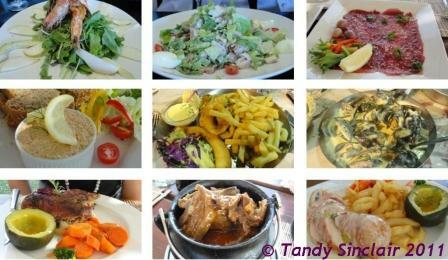 9 of us had lunch – one starter, one salad, 7 main courses and one dessert. The criticisms that arose where that the Camembert was not quite runny enough and the crème brûlée was overcooked and the sugar topping burnt. Other than that, all the meals were fantastic. I had the duck (of course) and it was a generous serving. The service was great until we had paid, and then we were ignored which is a pity. The food looks fabulous. I would give my eye teeth for a gem squash right now – we don’t get them here! Mmm, sounds lovely. I must make a turn!